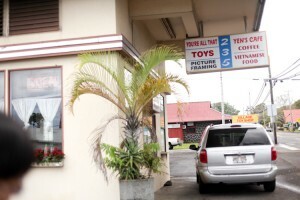 This place is located right behind Hilo Lunch Shop and seems very popular for their $5 bentos. While eating in, there was a steady stream of bentos going out. 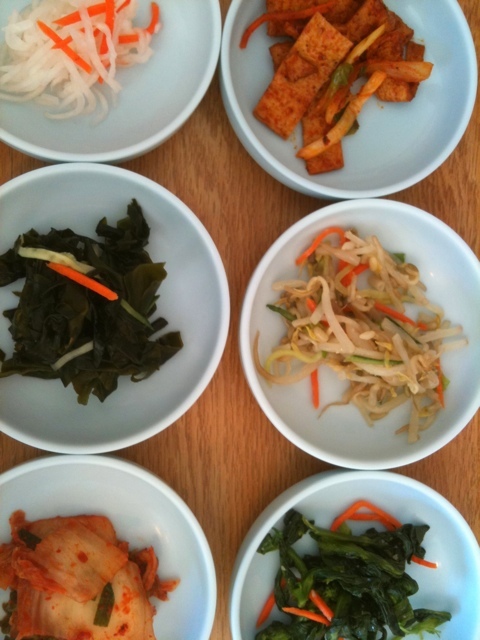 We were happy to have found a great Korean place in Hilo! Service was nice. We got some great tasting vegetables to start with. 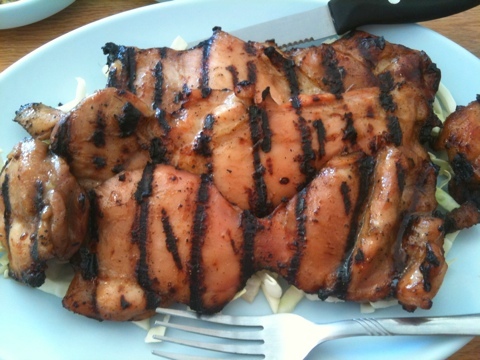 Tender, juicy, nicely charred and well seasoned/marinated. 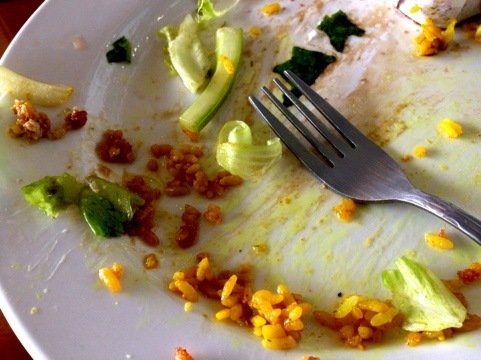 Bev really liked it and ate it all! Super good! Soft and juicy. 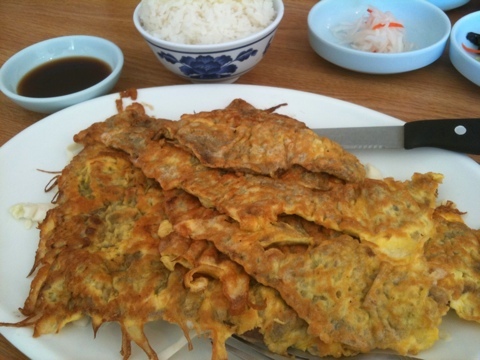 The meat was really tender which is always important with meat jun. Portion size was generous too. 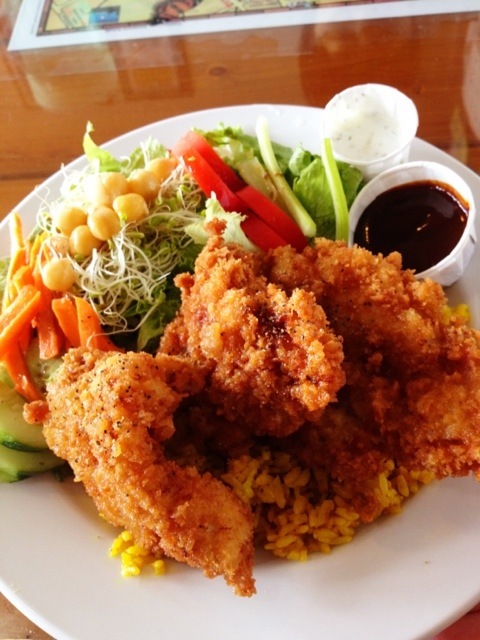 Great place with great flavor and service. 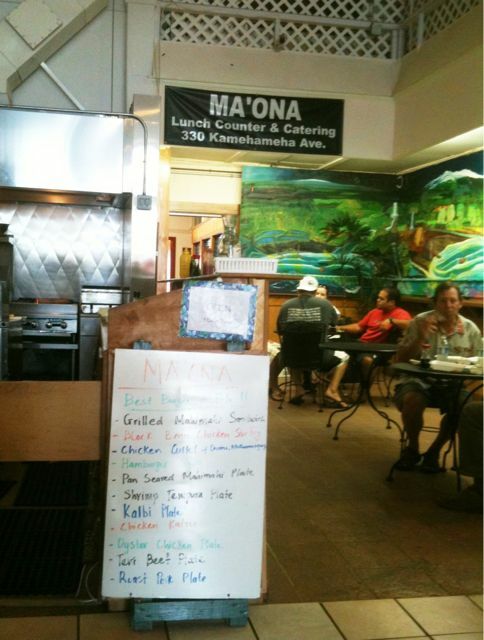 Readers have been telling me that Maona has some mean grinds. Finally made it here! 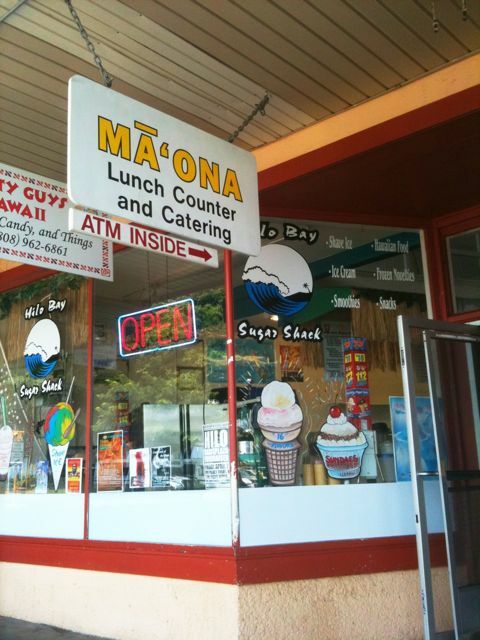 A little 2-man operated lunch counter right next to the Farmer’s Market. 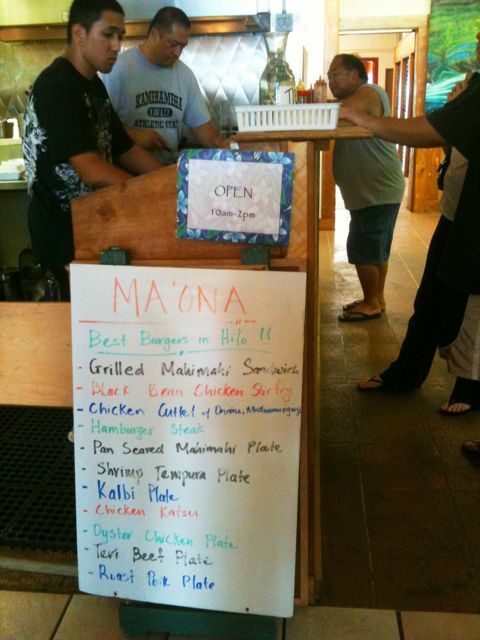 Their menu is simple but looks so good! Unfortunately, they were already out of rice. 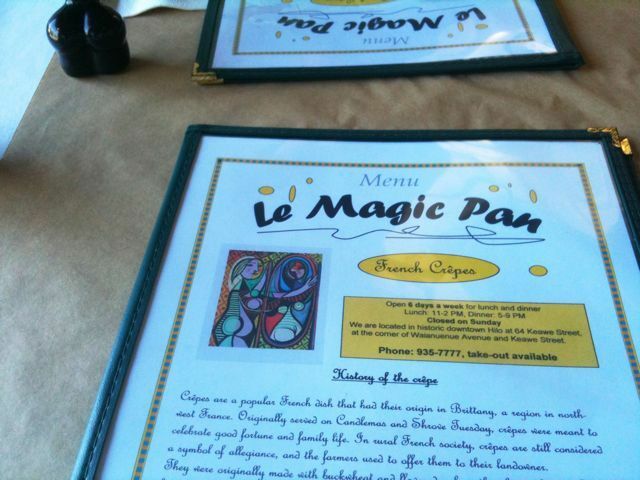 They are known to have some good plate lunches so we were bummed. We just went for some sandwiches. 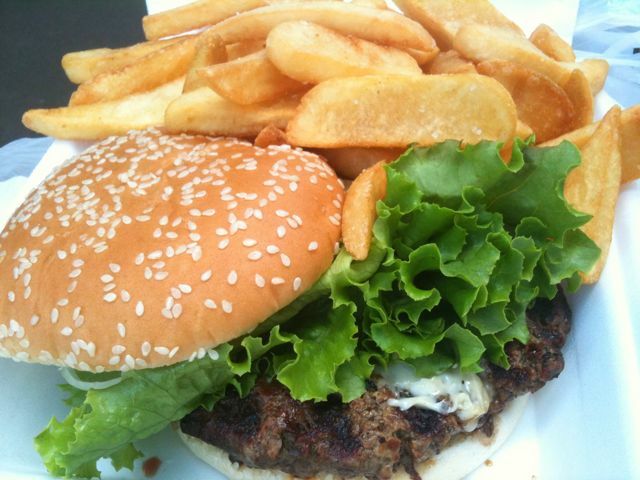 Blackjack burger ($6.50). The covers on these plates could barely stay closed. Huge burgers and huge amount of crispy homemade fries. My burger was thick and juicy with a nice spice rub. Nice grill marks. Best $6.50 I’ve spent on a burger! Bev’s mahi was super fresh and perfectly seasoned. Only thing is that it could’ve used a little more mahi. 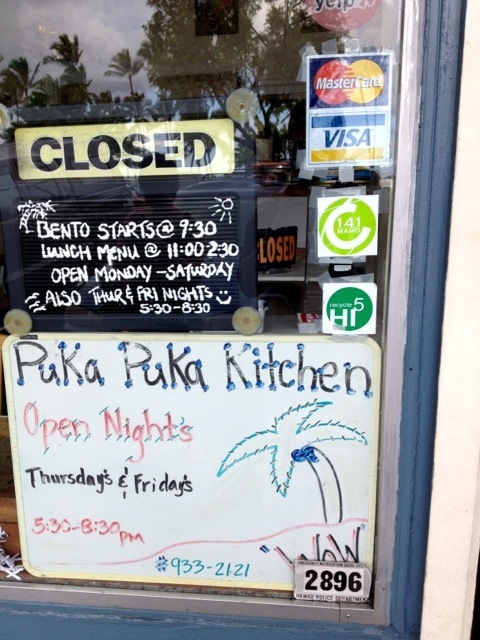 Definitely will be back for their plate lunches! Nori’s has always been one of my favorite places to have a great bowl if saimin. 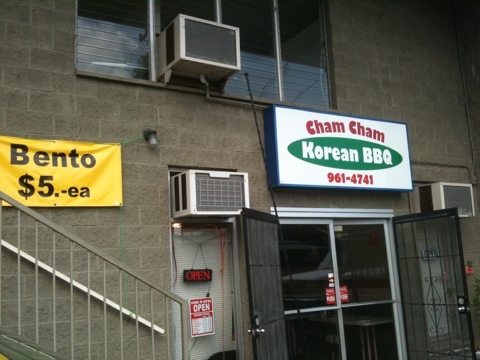 Unfortunately, it’s like their broth is getting saltier and saltier every visit! 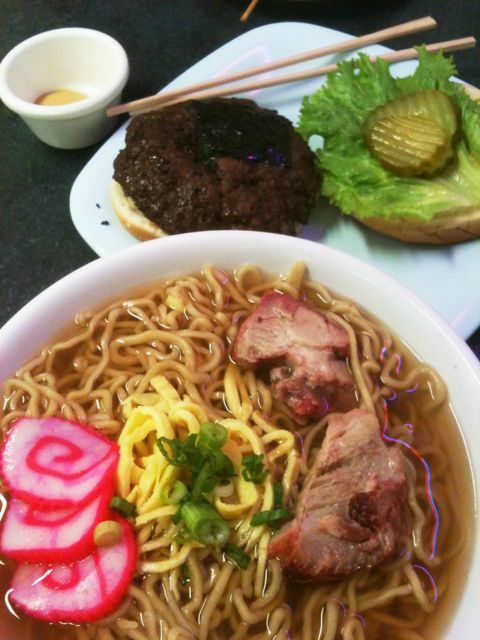 This is one of my favs: small saimin and burger combo. 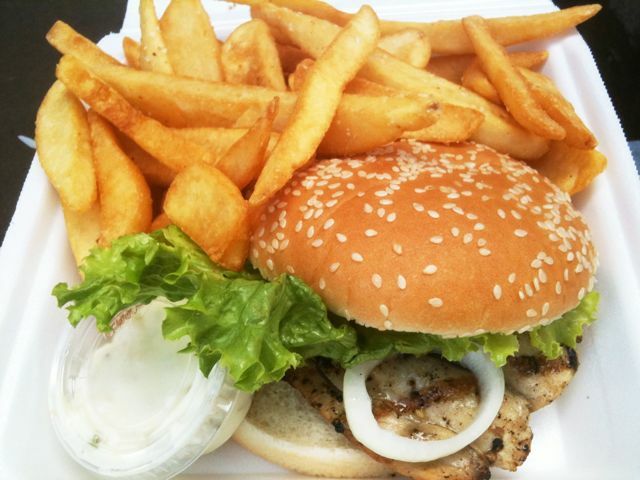 Nori’s burgers are always awesome… freshly made thick juicy patties. Once in awhile the saimin broth is just right and drinkable, but lately, like on this visit, it was so salty I could only eat the noodles. Nori’s please taste your broth before sending it out. I love everything else about you! Such a nice place! Feels like I’m in Paris and I’ve never even been there before. 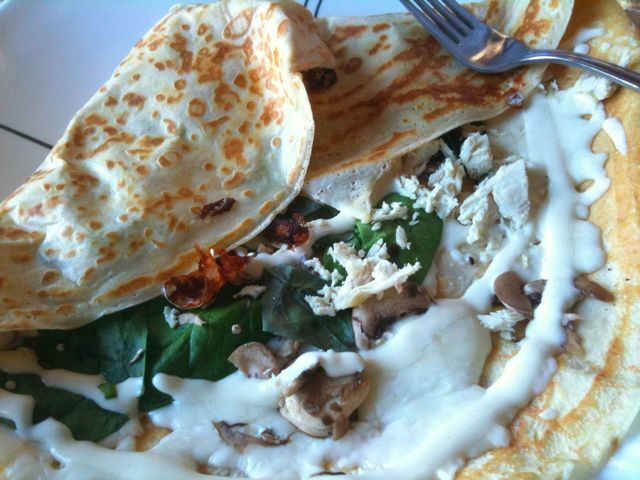 La Provencal crepe ($10). Chicken breast, spinach, mushrooms, mozzarella, mustard. 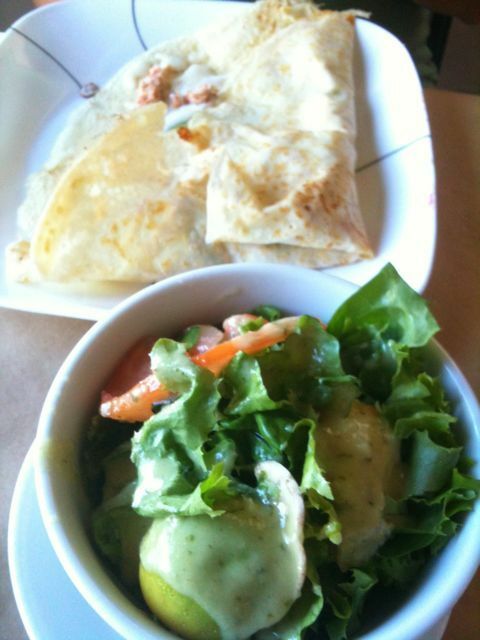 Alaska crepe (half size) with side salad ($10). Red salmon, spinach, artichoke, mozzarella, olives. Both crepes were delicious! 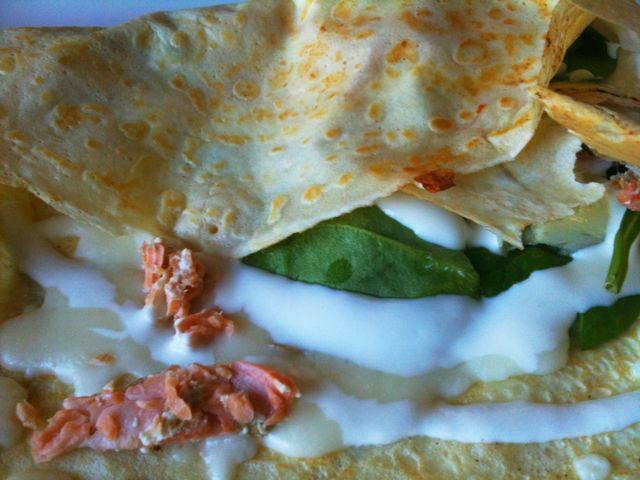 Crepe was so light, thin and moist and fillings were very flavorful and fresh. 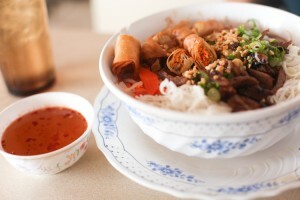 They use a special “magic” sauce which is super ono too. 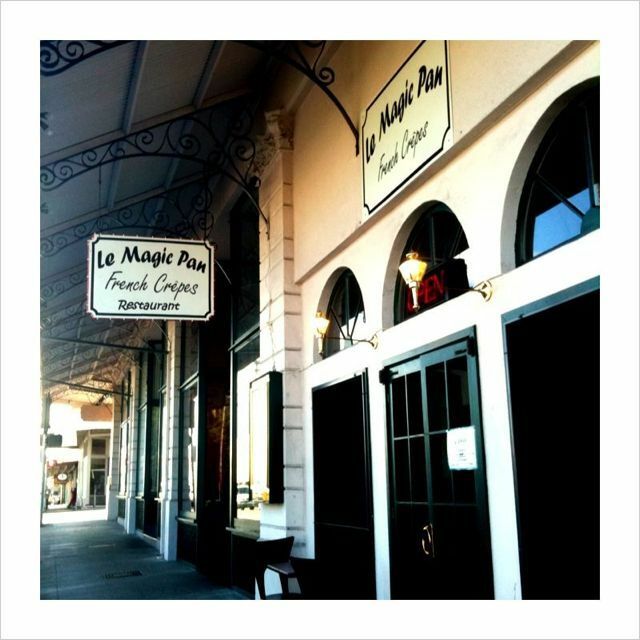 Also offered here are desert crepes and other French inspired dinner items. 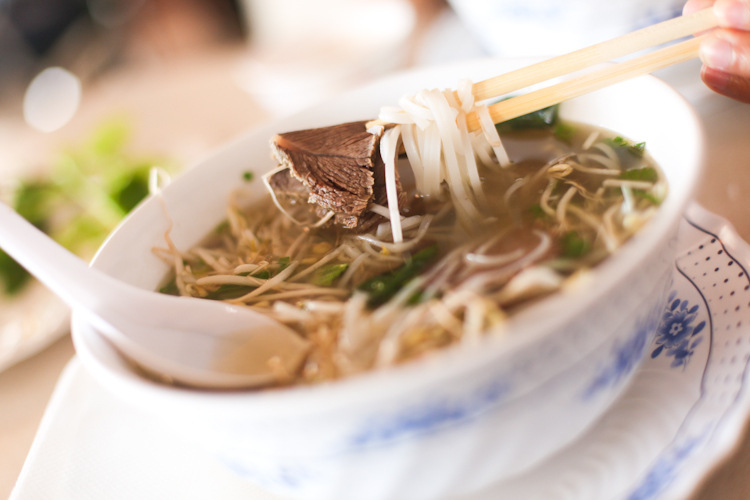 Some of the best cold noodles and pho in town at this tiny restaurant. Great prices and nice service. They also have some mean cake noodles! You are currently browsing the archives for the Restaurant Reviews category.